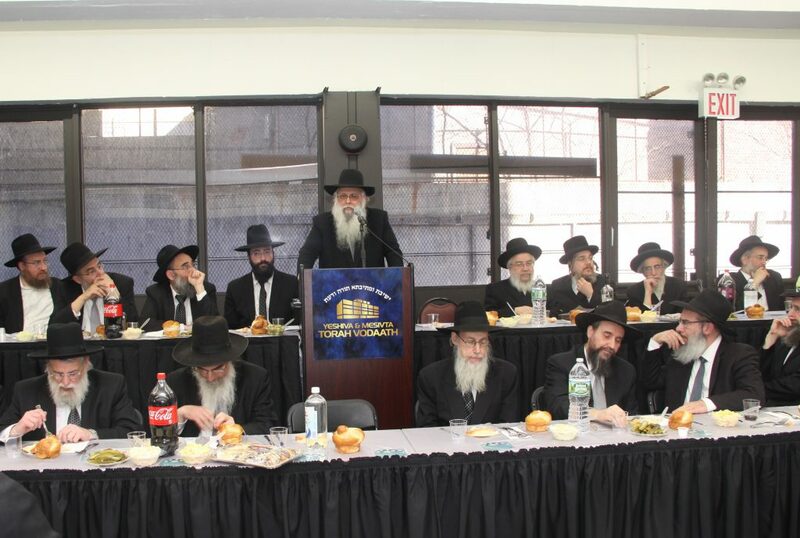 Following the first yahrtzeit of Hagaon Harav Chaim Yisroel Belsky, zt”l, on Wednesday, 19 Shevat, a well-attended event featuring a siyum and seudah in his memory was held the following Sunday in the lunchroom of Torah Vodaath — the yeshivah that, as many of the speakers pointed out, was essentially his home. 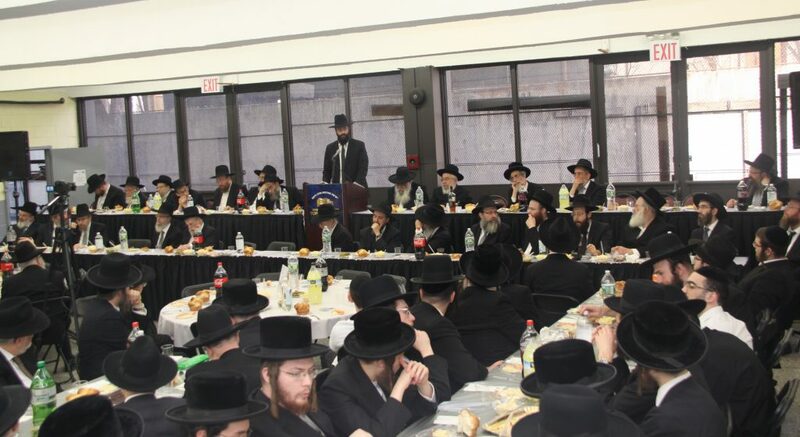 The room was packed with family, talmidim, yungeleit and bachurim who wished to witness this event, and a two-tier dais was filled with Rav Belsky’s children, prominent talmidim and Roshei Yeshivah. A women’s section was set up as well. A festive but solemn atmosphere prevailed, and the attendees were treated to a beautiful multi-course meal catered by the yeshivah’s kitchen. 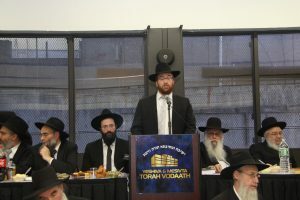 Rabbi Yitzchok Gottdiener, executive director of the yeshivah, opened the proceedings shortly after 1:00. 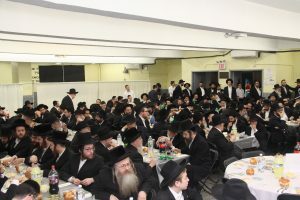 He noted that while this particular date and time had been chosen to allow for family members to return from marking the yahrtzeit in Eretz Yisrael, it was remarkable that an event championing liberal causes was scheduled simultaneously in Manhattan, and thus this gathering served as a spiritual counterweight. 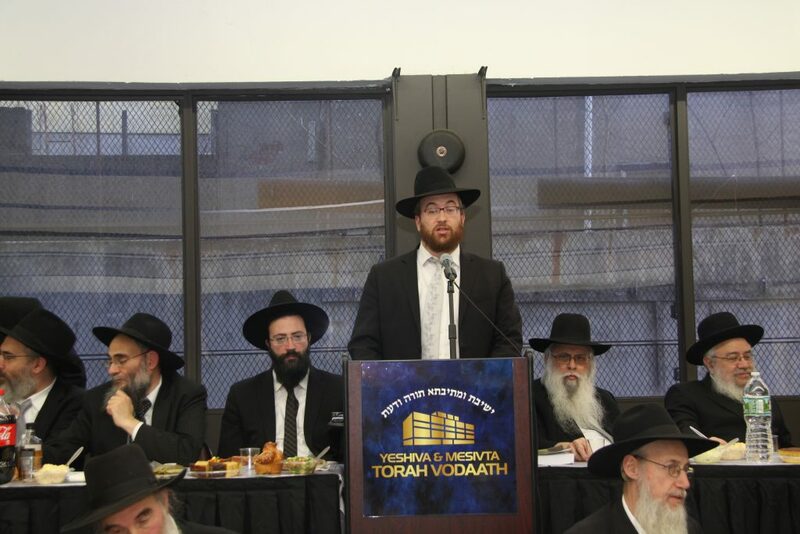 Rav Belsky’s youngest son-in-law, Rav Dovid Goldstein, a prized Maggid Shiur in the mesivta, was honored with making the collective siyum on Shas. Rav Goldstein used the conclusion of Shas, which speaks of “kol hashoneh halachos b’chol yom,” as a springboard for a number of observations about the greatness of his father-in-law, among them that he was a “living Shulchan Aruch,” the “Rav of the Rabbanim” (many of whom knew his number by heart), and that he didn’t merely lead from the front but descended to every individual’s level. He quoted Harav Simchah Wasserman, zt”l, who said that just as it takes many years for us on earth to discover that a star has ceased shining, because its old light continues traveling for a long time following the star’s demise, our Gedolim have a similarly lasting impact. The true effect of a Gadol’s loss is not felt until years down the line. 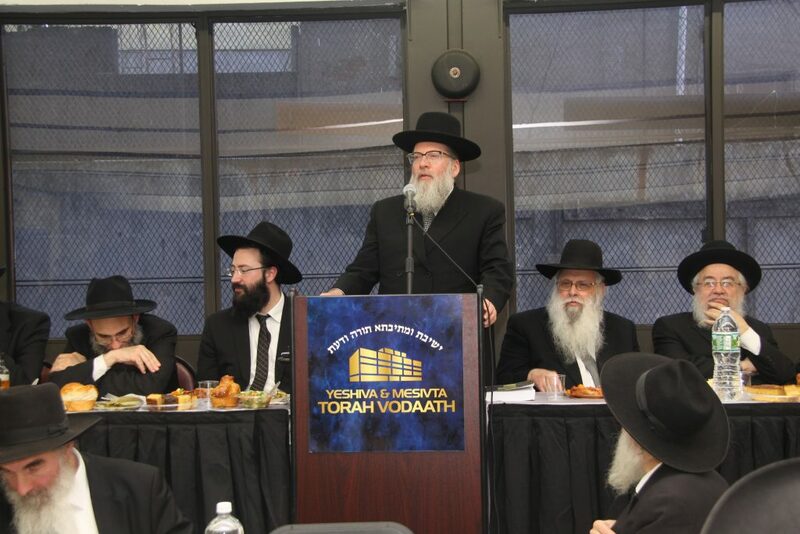 Harav Yosef Savitsky, Rosh Yeshivah of Torah Vodaath, spoke next in Yiddish. He opened with the idea that the foundation to success in Torah and wisdom is being a proper receptacle. The key to that is having a tremendous appreciation and desire for absorbing every last detail, qualities which were the hallmark of Rav Belsky. He related an anecdote about someone in the field of kashrus who encountered a she’eilah involving a complex machine; this question was beyond the scope of those he attempted to ask until he contacted Rav Belsky — who not only answered him on the spot, but also alerted him to other potential issues that no one else had even considered! Rav Savitsky also emphasized Rav Belsky’s tremendous chessed, which was done without any regard and consideration as to whether it was “worth it” or might cause him difficulties. 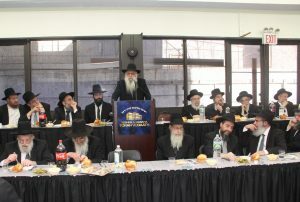 Emcee Rabbi Tzvi Belsky later introduced Rav Belsky’s older son-in-law, Rav Yaakov Gross, Rosh Kollel of the Miami Beach Community Kollel. Rav Gross quoted from Harav Shlomo Wolbe’s sefer, Alei Shur, which lists the middos of a talmid chacham and manhig, and illustrated how they were all manifested in his father-in-law. He was followed by Rav Yitzchok Zalman Gips, the Rav of K’hal Birchas Avraham and Rosh Yeshiva of Yeshivas Nehardua, who spoke in Yiddish about Rav Belsky’s incredible erudition and dedication as a posek who didn’t hesitate to tackle any subject. He noted that he had the breadth and scope to confidently assert that no statement in Chazal is at odds with contemporary knowledge. 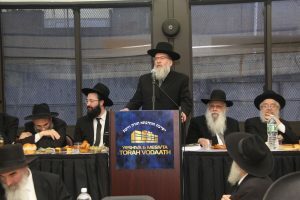 Rav Moshe Tuvia Lieff, Rav of Agudas Yisroel Bais Binyomin, delivered the final address. Rav Lieff spoke about the personal sacrifice that Rav Belsky’s public roles entailed, illustrated by a remarkable comment made by Rav Yaakov Kamenetzky forty years ago. Rav Kamenetzky said that if Rav Belsky had focused solely on his personal growth, he would have been the singularly greatest gadol hador.